Concerns that buyers of used cars would be put off VW models because of last year’s emissions scandal appear to have been proved unfounded. The new Auto Trader Retail Price Index shows that used car buyers have not turned their back on the marque, and both demand and prices for used VW models have remained stable. This kind of market insight is useful when you are planning your showroom stocking policies to meet customer demand. It can give you a steer on what buyers are seeking and alert you to new trends in the market that you may be able to take advantage of. However, if you are making changes to the type and volume of vehicles you have on the forecourt, ensure that you have the right level of motor trade insurance and road risks insurance to cover your stock. 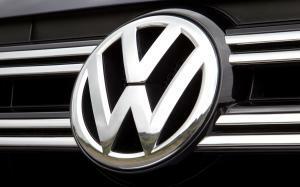 According to the Auto Trader report, the level of demand for used VWs has remained unchanged over the last six months. There had been concerns in the industry that buyers would react negatively following publicity that the company had falsified the results of some emissions tests. The report found that concerns about environmental factors differed among motorists depending where they live in the UK. London drivers appeared most worried about green issues, with 19 per cent saying that the effects of their car on the environment did concern them. However, nobody cited this as an issue among drivers questioned in East Anglia, and only three per cent were concerned in the South East and Wales.